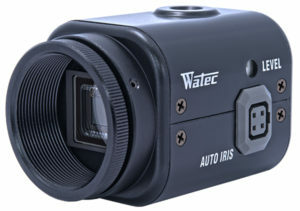 Watec is the proven leader in miniature low light camera technology. Our commitment to delivering the highest quality, most reliable low light products at reasonable prices starts in our multi-layer board designs, precision engineering and most importantly the hand selection of the highest quality components. Our unsurpassed and patented low light enhancing technology allow us to continue supplying you with the lowest light gathering cameras while maintaining the highest quality products. Our dedication to quality, performance and reliability ensure our products continue to provide you with flawless low light viewing capabilities… Making Watec the right choice for your current and future low light video imaging applications. What qualifies a camera as a low light imaging device? Is it the ability to see images clearly in .1lux (equivalent to 3 night lights on in a 12×16 room) or how about the ability to identify images at dusk? Or better, the ability for your imaging device to clearly see objects in a dark room with the shades closed..? My point is, the term “low light camera” is thrown around today in the same meaningless manner as the words “security camera”.. What is a low light camera and how “low” do you need it to go? At Watec we define a low light camera device as one with the ability to clearly identify objects of interest in Near Infrared Reflectance environments (NIR). Basically starlight rated darkness. Sharp, crisp lines and easily identifiable features in a minimal low noise output all under extremely low light settings (starlight). Our 910 series cameras see nearly 475 times more than the human eye and are rated at 0.000005 LUX, making them capable of seeing in extremely dark environments… WITHOUT the aid of IR illumination!